This ad was taken from the National Geographic Magazine 1970s. 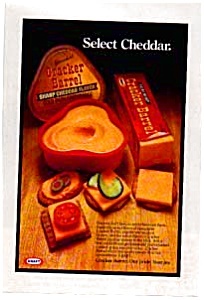 It features Cracker Barrel Cheddar Cheese in various forms . This ad is in good condition considering its age.